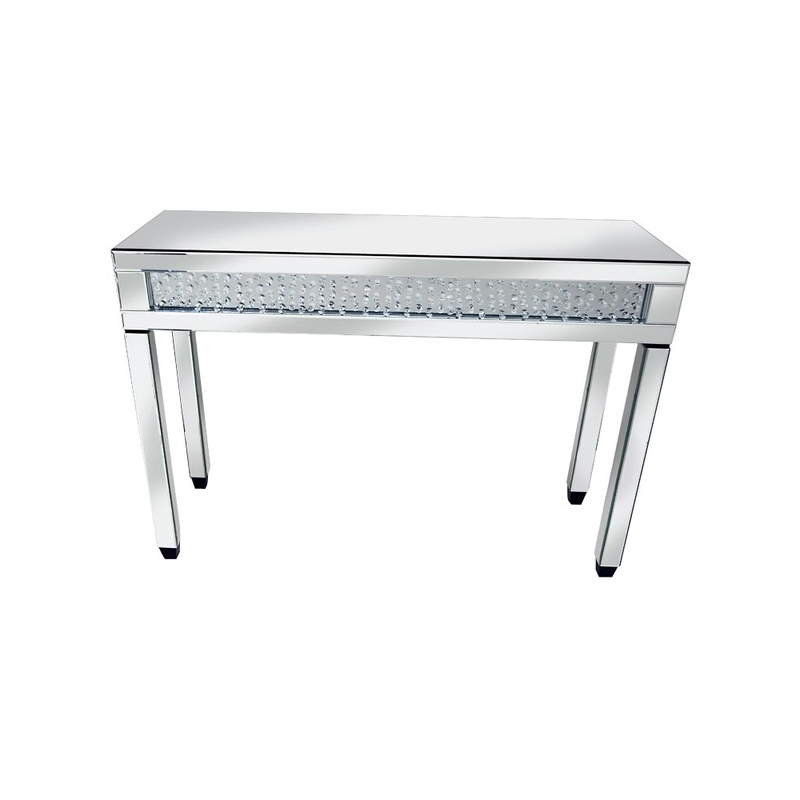 This is a beautiful console table that has a strip of gem decor across the side of the table. This table is stunning and would be a perfect fit with your home. It is a beautiful piece and is the newest addition to the Rhombus range. It is decorated with glass crystals and is made from mirrored glass.